Dartmouth Financial Group has professional certifications from the National Association for Tax Professionals and the National Association of Enrolled Agents. These former tax attorneys are more than capable of providing assistance with all facets of tax debt. The IRS will only be interested in collections, but Dartmouth has way more to offer. The company can prevent wage garnishment, write up an offer in compromise, negotiate an installment agreement, and even get your tax debt total reduced by dropping late payments and other penalties. Providing assistance nationwide in a virtual setting is available through the company’s online structure. There is no need to meet face-to-face in a traditional office. Rather, clients in all 50 states can get started and track their case progress online. Dartmouth Financial Group gives clients online access to learning centers to help them better understand the situation. This will not only help clients see exactly what work is being done, but it will also help them better understand the tax code and prepare them for financial freedom. Each client will received a tailor made budgeting plan for businesses and individuals. This will help clients stay on track financially and keep them from running into tax problems in the future. Throughout the process, all clients will receive constant support and advice. They will not be left out at any point and can track and manage their case every step of the way. Dartmouth Financial Group has not disclosed how much its services cost on its corporate website. This lack of transparency can be frustrating for potential customers who are wondering if the company’s services will fit into their budget. 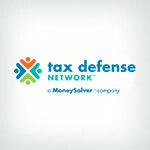 Most tax relief companies offer a free consultation to get the case started. Typically in this consultation, it is determined what work can actually be done on behalf of the client. However, with Dartmouth Financial Group, there is no free consultation. Many prospective clients are skeptical of the tax relief industry in general. To combat this issue, most agencies offer a money back or satisfaction guarantee. However, with this company, there is no refund policy. Clients will not be able to pay for services in any of the typical fashions. Clients must make payments through a Dartmouth-controlled escrow account. Dartmouth Financial Group has been in business since 2007 and has a track record of helping its clients obtain financial freedom. While it does offer a myriad of tax resolution services, we are concerned about the lack of a free consultation and overall lack of transparency. 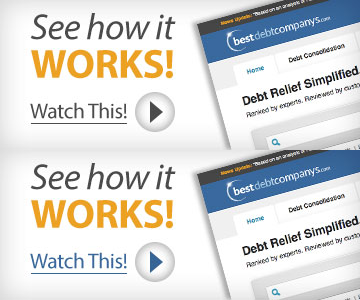 We suggest looking into our other top recommended tax relief companies.